The Walterdale Bridge spans the North Saskatchewan River, connecting the intersection of Queen Elizabeth Park Road and Walterdale Hill to the south side with 105 Street to the north. The new signature bridge is the first of its kind in Edmonton. An interactive look at the structure of the new bridge. Planning and design of the new bridge. 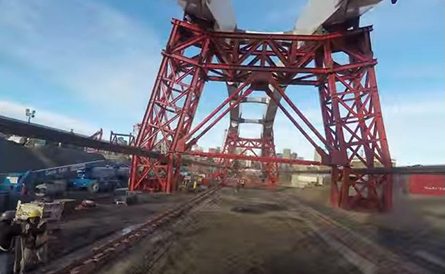 Get an up-close look at the bridge as it was being built.